Blog What Is a Christian? What is a Christian? How we answer this question might be influenced by our upbringing, experience, understanding, or even misunderstandings. This month’s featured resource, What Is a Christian?, is a book intended to help readers distinguish between their assumptions about the Christian faith and the truth about who Jesus is. Creation surrounds us with countless pointers that declare the majesty of our Maker. In fact, the Author of the Bible even wrote an awareness of Himself into our own hearts! We’re part of His design, and what we believe about God is one of the most important things about us. Although many people claim the title “Christian,” not all are following Jesus. What Is a Christian? explores the spiritual DNA of a true believer. The building blocks that lead to a vibrant, joyful life in Christ aren’t shrouded in guesswork. Instead, every Christian can rest in what God has revealed about Himself in the Bible and through Jesus. In a brief eighty pages, What Is a Christian? thoughtfully helps readers consider what it means to follow Christ. We’re all naturally curious, wondering why we are here and what life is really about. Only the Bible has the full answers. 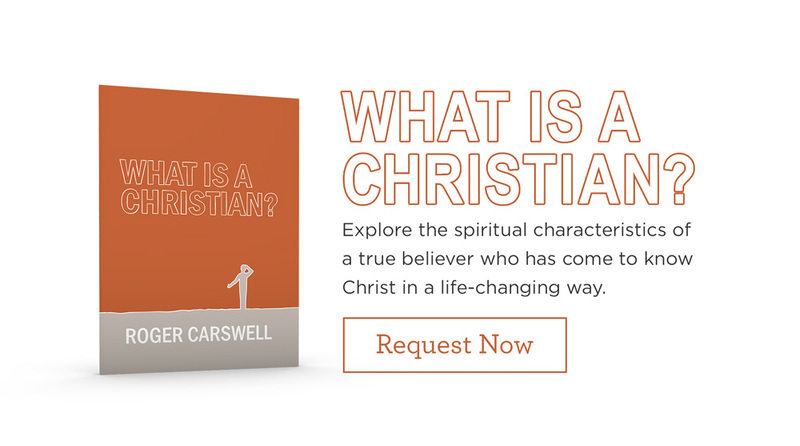 If you have questions about faith, or if you’d like to share the joy you have in Christ with others but aren’t sure how to begin, check out What Is a Christian? It’s a small book with big implications.